Monarch Air Group provides private air charter in Centennial, CO. Our clients benefit from top-notch service, unrelenting dedication to safety, wide selection of aircraft, and years of experience in chartering private jets. To obtain a free quote, please use our online quoting tool provided below, or call toll free 1-877-281-3051. Monarch Air Group provides private jet charter flights in and out of Centennial, Colorado. Centennial is a city in north-central Colorado with a population of about 100,377 people. It is ranked as the 15th safest city in the country. 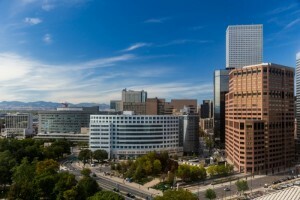 The major points of interest include Cherry Creek State Park, Denver Temple of the Church of Jesus Christ of Latter-day Saints, Celebrity Lanes, and some others. Centennial is served by Denver International Airport (DEN / KDEN), which is situated from 35 miles from the center of Centennial. 3. BJC, Jeffco, Broomfield, United States. 5. DEN, Denver International, Denver, United States. 6. FCS, Butts AAF, Colorado Springs, United States. 7. FNL, Municipal Airport, Fort Collins/Loveland, United States. 8. GXY, Weld County, Greeley, United States. 9. LIC, Municipal, Limon, United States. 10. WBU, Municipal, Boulder, United States. 1. Embassy Suites Hotel Denver Tech Center, 10250 E. Costilla Avenue, Centennial. 2. Hotel Denver Tech Center, 7801 East Orchard Road, Greenwood Village. 3. Hilton Garden Inn Denver South Meridian Hotel, 9290 South Meridian Boulevard, Englewood. 4. Embassy Suites Hotel Denver Tech Center, 10250 E. Costilla Avenue, Centennial. 5. Comfort Suites Denver Tech Center, 7374 South Clinton Street, Englewood. 6. Sheraton Denver Tech Center Hotel, 7007 South Clinton Street, Greenwood Village. 7. The Inverness Hotel and Conference Center, 200, Englewood. 8. Hotel Denver Tech Center, 7801 East Orchard Road, Greenwood Village. 9. Hilton Garden Inn Denver South Meridian Hotel, 9290 South Meridian Boulevard, Englewood. 10. Embassy Suites Hotel Denver Tech Center, 10250 E. Costilla Avenue, Centennial.